Corporate ribbon with company logo Archives - ThirtySevenWest ThirtySevenWest - Creative ideas about personalized custom ribbons, woven tags and labels, personalized gifts and more!!! Can Companies Use Inspiration to Move Sales? With today’s densely crowded marketing space, companies have to find a way to stand out from the crowd. Household brands like Dove, Halls, and Snapple have successfully leveraged inspirational and fun facts as ways to add a humanistic feel to their products. Though the jury is still out on whether these added phrases really help spur sales, the argument can be made that they, if nothing else, enhance the brand in the eyes of their loyal customers. Here are the top three reasons why using inspirational phrases or messages on your products can actually help your brand stand out as a leader. The buying process is a very emotional-driven event. So, by tapping into those emotions by giving your customers a natural, and often unexpected “pick me up” can be a great way to engage your customers after they have purchased your product. Similar to the appeal that fortune cookies have, adding inspirational messages to build that anticipation and excitement for your customers to see what phrase they may get next. Plus, with the average customer being inundated with dozens of marketing messages a day, having something that humanizes their experience and makes your brand speak to what they may be feeling is an effective way to connect with your customers on a personal level. Whether you include trivia facts like Snapple or have moving quotes like Dove chocolate, it is important to remember that your messages can be conversation starters. Depending on the product you include them on, customers may even keep them and share with others. As Amazon CEO, Jeff Bezos says, “branding is what people say about you when you’re not in the room.” By leveraging inspirational messages, you leave your customers with something to talk about and a way to keep your company top of mind. Are you more likely to remember reading something that moved you or a generic marketing slogan? If you’re like most, it is the moving, inspiring, or even funny things that we remember and take with us. The more positive experiences your customers have with your brand and your products, the more likely they are to continue to purchase from you and share their experiences with others. Using special phrases or inspirational wording is not a requirement for a successful marketing initiative, but it is a small thing you can do to help resonant with your customers, on a new level. If your current marketing could use a human element, or you would like to explore how to incorporate inspirational messages in your marketing materials, click here to learn more. 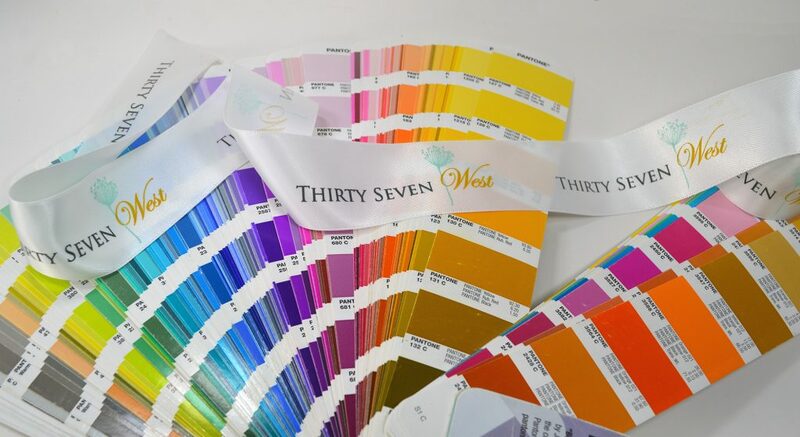 Thirty Seven West’s complete collection of custom products and ribbons could be the simple and elegant touch you need to engage your customers. Posted in Custom Ribbon, informational, Logo Ribbon | Comments Off on Can Companies Use Inspiration to Move Sales?